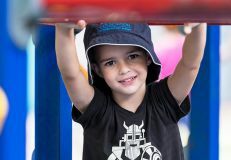 Opening in 2012, AEIOU's Bundaberg centre has the capacity to enrol 12 children with autism on a full-time basis. 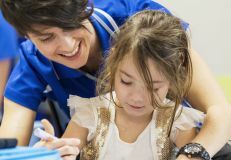 The centre is located on Central Queensland University's Bundaberg Campus under a Long Day Care Childcare licence to enable flexibility for families, ensuring parents and carers can remain in the workforce, access resources and genuine support while their children receive early intervention therapy and education to help them reach their own individual milestones. The centre is a result of local community lobbying for local services to meet their community's needs. The service is managed by Amanda Rogers. Amanda joined AEIOU as a learning facilitator in 2015, and has worked her way to Service Manager at Bundaberg. She moved to the region with her family in late 2017, and has quickly grown to love the community. “Bundaberg is a wonderful place for us to bring up our family and we are really excited to be part of the local community.